Cabana Man Dan takes some time out of his day to talk with Sean about his career, adversities, triumphs, side projects, his Nova Pro tryout experience, teaming with Ace Perry and Sage Phillips at 11th Dimension and much, much more. Jay Baca opens up the Lucha Lounge for a special Christmas edition. This week’s show is jam-packed. 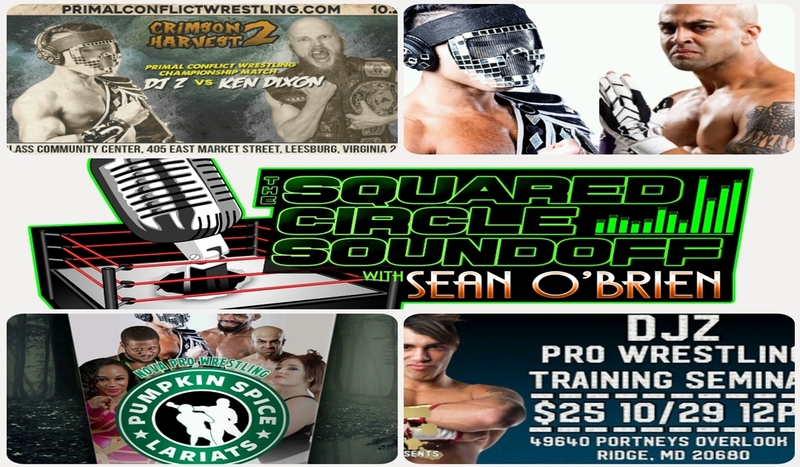 The world-renowned DJ Z kicks off the SCSO to talk his career and his return to Virginia for Nova Pro’s Pumpkin Spice Lariats (versus Sonjay Dutt) and PCW’s Crimson Harvest 2 (vs PCW champion Ken Dixon). Mike E King returns to the SCSO to break down the entire PSL card with Sean, talk #UnderSeige, the details on the 2018 tryout show, Stuttsy/Meltzer and much, much more. Elsewhere, Jay Baca takes fans to the Lucha Lounge to talk WrestleCircus and Lucha Underground. 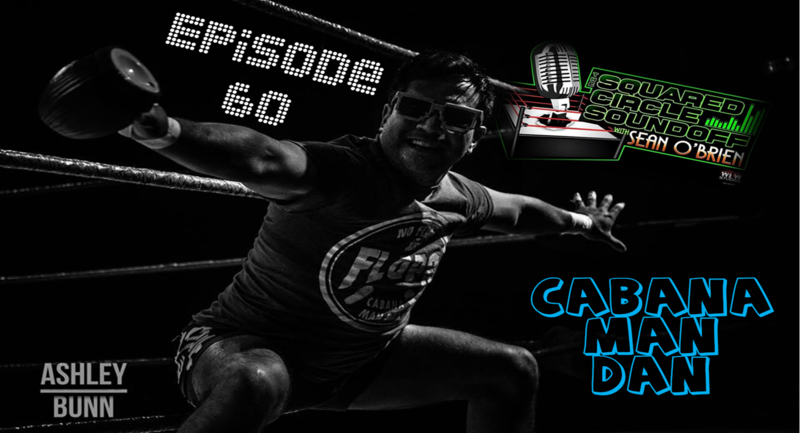 Sean is joined by Evolve star/ Full Impact Pro champion Fred Yehi to talk his fast-rising career, his upcoming match (sponsored by the SCSO) at Nova Pro’s “Cool for the Summer” with Tim Donst and much, much more. Mike stops by the SCSO to talk to Sean about the entire Cool for the Summer card and update fans on his condition following American Slang. He tells listeners exactly how he feels about Angelus Layne prior to her main event match versus Keith Lee. Also included is Jay Baca taking fans to the Lucha Lounge to talk Lucha Underground. A.C. Hawkes (CWF, Nova Pro, AML)-a former trainee from Lance Storm’s Wrestling Academy- stops by the SCSO to talk his career, moving from Florida to Canada to train, wrestling around the country, balancing his job and wrestling, Nova Pro, marketing himself and much more. A.C. also talks WWE (RAW/Smackdown) with Sean. Jay Baca finishes off the week with the Lucha Lounge, including his Wrestle Circus preview. Anthony Henry (Evolve, MCW, PWX, Nova Pro) joins Sean to talk his wrestling and MMA careers, and his recent success in tournaments. Anthony also talks about dream matches, being a fan at NOVA B.O.C., and his experience at MCW’s Shamrock Cup. Chambers from the Big Gold Belt podcast (@BGBGroup) and John Hucks of @PWPollz give their takes on Nova Pro’s American Slang ’17- a stacked card from top to bottom. Matt Cross discusses his career with various cutting edge promotions (Wrestling Society X, Lucha Underground), his goal of wanting to be the most traveled independent wrestler ever, his serious leg injury in January, his new wrestling apparel line (Wrestling is Forever), his history with X Division champion Sonjay Dutt and what matches he’s looking forward to at Nova Pro’s American Slang. Donst joins the SCSO and talks which wrestler inspired him as a kid growing up, his wrestling documentaries (Wrestle Donst Wrestle, Two Donst Two), finding one’s identity in wrestling, his thoughts on specific jeans for street fights, coming back from a cancer diagnosis in 2015, who he’d like to face in a dream match up and he has some fighting words for his opponent at American Slang, ” The Product” David Starr. Sean is joined this week by Edward Chao of Nova Pro’s Gated Community and THE Black Diamond of Booker T’s Reality of Wrestling, Robyn Reid. Edward discusses the origins of The Gated Community, their ties to “The Champion of the 1%” Logan Easton Laroux and runs down the card for Nova Pro’s American Slang ’17 on July 14th with Sean. Robyn talks with Sean about her academic career and career goals prior to wrestling, her leap of faith into wrestling in 2013, as well as advice she has received from other superstars including Booker T, Victoria and MVP. Robyn also talks her goals as a wrestler, the progress women’s wrestling has seen over the last few years and what being a former Diamonds division champion means to her. All that, plus Jay Baca fills in fans on everything Lucha Underground and Wrestle Circus!